You can change the frame at which a panel's snapshot is simply by dragging it to the preferred frame in the Timeline view. 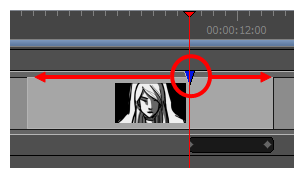 Position the mouse cursor over the snapshot that you want to set as the main snapshot. 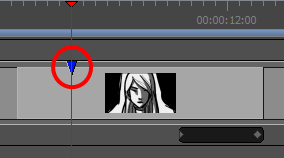 When you see the Grab mouse cursor, click and drag the snapshot to the frame where you want it to be. As you move the snapshot, the Stage and Camera views will update to the position of the snapshot, so you can use either view as a reference to see what is in the snapshot's new position. NOTE You can only move a snapshot within its panel. If you move a snapshot outside of its panel, it will be deleted.